1. Thesaurus Linguae Graecae (Irvine: University of California at Irvine,1987), Pilot CD-ROM #C.
4. John Chrysostom, Homilies on the Epistle of St. Paul the Apostle to the Romans 31.7, in A Select Library of the Nicene and Post-Nicene Fathers of the Christian Church, ed. Philip Schaff, first ser., vol. 11 (Grand Rapids, MI: Eerdmans, 1956), 555. 5. We are perplexed about the fact that in the near context of the citation of Junia, Epiphanius also designates Prisca, who is mentioned in Rom. 16:3, as a man, even though we know from the New Testament that she was a woman. 6.Origen, Commentaria in Epistolam B. Pauli ad Romanos, in Origenis:Opera Omnia, vol. 14 of Patrologia Graeca, ed. J. P. Migne, col. 1289. 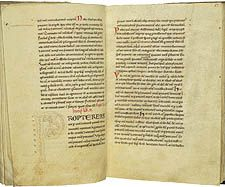 This work was preserved in a Latin translation by Rufinus (ca. AD 345–ca. 410). 7. 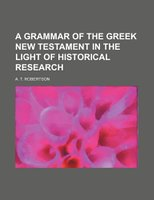 A. T. Robertson, A Grammar of the Greek New Testament in the Light of Historical Research (New York: Hodder and Stoughton, 1914), 171–73. 8. 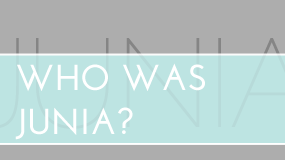 However, Junia is a common woman’s name in Latin, and that has persuaded several recent translations to render the name as Junia.